Kilimanjaro is both delighted and honoured to announce that we have once again achieved MYOB Diamond Partner status and retained Platinum Status for MYOB Exo and MYOB Advanced for 2019! Maintaining this status for the fourth consecutive year is a testament to our dedicated Kilimanjaro Sherpas and the trusted relationships we maintain with every client. 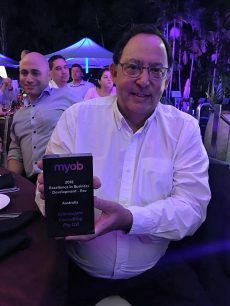 What do these MYOB awards mean to us? To become an MYOB partner, you must have certified consultants and meet minimum requirements. In order to achieve Diamond and/or Platinum Partner status is a lot harder. The MYOB Partner channel is there to service bigger businesses. This means implementation and on-going support for MYOB Enterprise products, such as MYOB Advanced and MYOB Exo. As the channel continues to evolve, the benchmark for recognition grows higher. The journey to achieve Diamond and Platinum status is a long and challenging one. But continues to be a driving force for Kilimanjaro and our entire team. It is a credit to all the hard work, commitment and our low-risk approach demonstrated with every client. However, we always sharpen the spear, always strive to do better. It is for this very reason that we have achieved these accolades from MYOB., as Diamond and Platinum Partner. 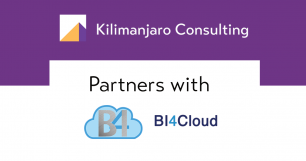 Back in 2016, on the 14th of March, MYOB announced their very first Diamond Partner: Kilimanjaro Consulting. We were honoured to wear this title as the first MYOB Diamond Partner. Thus began the challenge to maintain this status for the future. Today, we are proud to have maintained this recognition for 4 years in a row. It is now not only an honour but an obligation. Behind our success is an approach we took at Kilimanjaro from the very beginning. Our promise to clients is to improve their efficiency (using our low-risk methodologies) through the use of clever, innovative and proven technology. Customer satisfaction will always be at the forefront of our business and we genuinely feel clients’ success is our biggest reward. None of our achievements are possible without our incredibly hard-working team. From sales and marketing through to guidance, consultancy, implementation and support, their work is the reason we have achieved MYOB Diamond Partner status for 4 years in a row. Congratulations and thank you to the entire tribe for all your dedication towards every client. Most importantly, a huge thank you to our amazing clients for another great year of success, patience and trust in Kilimanjaro. Looking for a trusted MYOB partner? Kilimanjaro is proud to share with our clients the success we have worked so hard to achieve. Our approach is to engage our customers as long-life partners. Embarking on the implementation journey together and staying together all the way to the end. Choosing an implementation partner is tricky, and it is important you understand the different risks involved. For more information, visit our blog post here. In order to be transparent and honest with everyone we speak with, we have created a post on “What to expect from your enterprise partner”. As an MYOB Diamond Partner for the fourth year running, our promise is to make our clients feel confident in safe, trusted hands. ERP systems are computer software programs that support business management, including modules supporting all functional areas, and providing a flow of information between these functions in a consistent and visible manner. Over recent years, ERP systems have evolved considerably, helping small, medium and large businesses be more efficient and grow faster. Social, mobile and cloud platforms have also seen a rapid change in the last decade, and ERP systems have caught up with these advancements in order to stay relevant. The beginning of ERP systems began in the 60 ’s. Originally focused on manufacturing, early systems were known as Material Requirements Planning or MRP systems. During the late 80’s, ERP systems started gaining in popularity. At the same time, most businesses were moving from pen and paper to the computer. The rapid shift of technology in conjunction with a relatively complicated and expensive product meant many businesses found ERP systems were not fit for purpose in those early days. ERP systems gradually became a norm for many businesses, as we approached the year 2000. The big boom in technology advancement led to explosive growth and a rapid adoption of ERP software. As technology progressed, ERP solutions were able to address specific pain points and became more configurable to deal with differences between individual businesses. Today, ERP systems such as MYOB Exo have been able to improve efficiencies within businesses to an extent not possibly imagined before. Today, technology continues to advance at a rapid rate. With mobiles, computers, software and other systems all moving to ‘the cloud’. Cloud-based ERP Systems (also known as Software as a Service, or SaaS) allows users access to sophisticated software applications. These run on shared computing resources via the Internet. Cloud ERP solutions are more accessible and more mobile than their traditional on-premises counterparts. Companies can upload and access data in real-time via the cloud, from any device, allowing for greater and faster collaboration among departments. The model is extremely scalable, as you pay only for what you use, and can scale up or scale down as required. MYOB has embraced technological evolution and has invested heavily in building the most suitable solutions for Australian companies. ERP solutions such as Acumatica, marketed exclusively by MYOB as MYOB Advanced, is a cloud-based solution that is aimed at mid to large sized businesses. MYOB Advanced was introduced as the newest cloud ERP system in MYOB’s product portfolio in 2015. In 2018, it has been named the number one choice of ERP for Australian Business. This shows how Australian businesses are following worldwide trends to stay ahead of their competitors. ERP systems have evolved dramatically over the years and their current capabilities are vast. The technology helps businesses create the most innovative and competitive environment to serve client needs and make informed decisions. It is important to be using the right ERP solution to match your business needs and functionality requirements. At Kilimanjaro, we understand the importance of choosing the right software for your business. We are here to help you by understanding your business needs better. We will guide you to use technology to improve efficiencies in your business. If you are just beginning your ERP journey and you are not sure which system is best suited to your business, visit our page here. To find out what is the difference between MYOB Exo and MYOB Advanced check the 8 key differences article. For any questions, feel free to give us a call on 1300 857 464 for a free consultation today or fill out the contact form below and one of our experts will give you a call. For many Australian Businesses, Australia Day marks the beginning of the Business New Year. It is a tradition that many Australians take an extended holiday break through Christmas, only returning to work after the Australia Day long weekend. Now that the New Year has set in and the hustle and bustle of work begin, it’s an important time to ensure your business is leveraging off software that will allow for businesses growth. Learn how using Australian built software has many benefits for you and your company. The Australian tax regime is quite complex compared to other countries. Businesses are required to lodge a business activity statement; larger businesses are required to lodge one quarterly. A business activity statement is a summary of all the business transactions that have been made during that quarter and is quite complex in the categorisation of income and expenses. If your accounting system has not been designed to create an activity statement, you may find that you are unable to source the correct information required to lodge one. As an example, the business activity statement requires separate information for the wine equalization tax (WET), PAYG instalments, fringe benefit tax instalments and deferred company tax. Many businesses have ended up in a position of implementing a new system and having to complete their business activity statement manually. This defeats the object of putting in a new system as it results in the company becoming less efficient rather than more efficient. Australian Goods and Services Tax (GST) is a value-added tax but differs somewhat from value added tax in other countries. Your system needs to differentiate between taxable and non-taxable supplies. The tax office provides a list of exceptions and any stock items that are non-taxable must be identified as such in your system. The system must also be able to deal with ‘mixed supplies’ this means that on a single tax invoice you may have supplies that are goods and services taxable and supplies that are exempt. The total tax on the invoice will not equal 10% of the total invoice amount. Many Non-Australian systems cannot handle this. Additionally, there are strict requirements for the layout of a GST compliant invoice. Systems that can create a generic invoice designed for other countries may not comply with the ATO requirements and standards. Australia allows small businesses to operate on a cash-based GST system. This means that the GST component is only remitted to the ATO once payment has been received from your customer, or paid to your supplier. Businesses with an aggregated turnover of less than $10 million can choose to account for their GST using the cash accounting method. If you run your business on cash-based GST you should be aware that once you exceed the threshold, you will be required to switch to accrual (invoice based) GST. This means that the GST must be remitted based on your invoices rather than on your cash receipts. 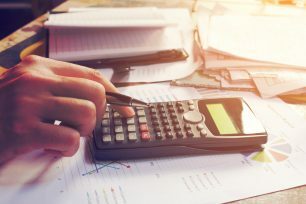 Switching from a cash-based GST to an invoice based GST is extremely complicated, and if you intend to grow your business the sooner you switch, the better. Not all software systems can handle both cash and invoice based GST. If you thought that GST legislation was complicated, Australian payroll legislation is even more so. There are very few overseas payroll systems that are able to deal with the complexities of Australian payroll. Terminations are even more of a minefield. In addition to the basic requirements, if you are operating in an industry with awards, your system must be able to handle the interpretation of these awards. As an example, an employee starting at 7 am in the morning may earn a different rate per hour to the same employee starting at 8 am. The interaction between payroll, timesheets and awards is a complex one. Superannuation legislation is also complex. Australian built payroll systems have evolved over years to deal with these complexities. This is one area where software that has not been localised will not be able to meet the legislative requirements. The Australian legislation is not only complex but changes frequently. Overseas software providers are not able to be responsive to these changes. Australian providers liaise closely with the ATO and other government regulatory bodies. They are usually involved during the drafting phase of the legislation and are given sufficient time to modify their software to meet new requirements. Recent changes that will impact on your ERP and payroll systems are SuperStream, One touch payroll and electronic lodgment of business activity statements. Stay up to date with the most recent changes and requirements of Single Touch Payroll here. Small differences in terminology make learning a new system unnecessarily complicated. For example, in Australia, we may refer to “stock” where in America this may be referred to “inventory”. An invoice may be referred to as a bill, a stock code may be an item code in a non-stock business and American terms like dunning letters are unknown to Australians. Using terminology more familiar to Australian users eliminates much of the pain of learning a new system. MYOB has software for all companies large and small. All of the above localization factors have been incorporated into all MYOB software. Moving from one MYOB product as your business grows means that not only do you comply with the legislative requirements but the users of the system will be familiar with the interfaces, terminologies and workflows. MYOB is a leading provider of business management solutions in Australia and New Zealand. Products include a simple bank feeds service, MYOB Banklink, to cloud accounting product suites, MYOB Essentials and MYOB AccountRight, through to enterprise software for more complex businesses, MYOB Exo Business and MYOB Advanced. 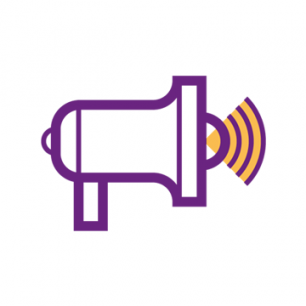 If you are currently using MYOB AccountRight you will know that from 30th September, 2019, MYOB will no longer provide features, patches, compliance updates or product support for your MYOB AccountRight Classic desktop software. Now is a good time to explore the transition to MYOB Exo or MYOB Advanced. Read more about the transition here. Approximately two in three Australian businesses use accounting software and of these around 60% use MYOB. Around 60% of accountants use MYOB as their main practice solution. At Kilimanjaro, we understand the importance of improving a user’s software skills. Based on the positive response and feedback from past attendees of our popular MYOB Exo Clarity courses, we have expanded and created a brand-new course to satisfy the needs of MYOB Exo users! 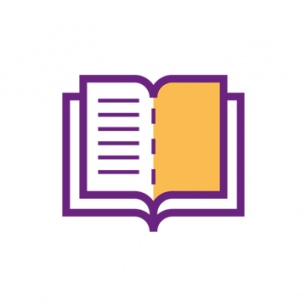 We are excited to introduce the new MYOB Exo Business Report Writing Course, open to all MYOB Exo users. The MYOB Exo Business Report Writing course is an extension of our previous Clarity courses. The course provides you with the skills and knowledge that you need to modify existing reports and create new ones through 4 modules. Being modular means the course is flexible and you can attend only the modules relevant to you. Training is not only run by MYOB Exo experts. They are also consultants from Kilimanjaro that work with Clarity in MYOB Exo on a daily basis. This means the course doesn’t just provide you with technical knowledge, but practical experience too. Before enrolling in the Intermediate and Advanced courses, check with our friendly training team if you are eligible to take this course. Is the New MYOB Exo Business Report Writing Exo Course for me? The modular course offers you the choice of flexibility to start with the beginner’s module or challenge yourself with the advanced ones. Note: for those who have previously attended our Beginners or Intermediate Clarity course you can enrol in the new GL and Advanced report writing modules! We are offering a 5% discount on the GL Report Writer and Advanced Clarity Report Writing modules for any attendee that have attended our Clarity Beginners and Intermediate courses in the past 5 years*. Please contact us if you would like to know if you are eligible for the special discount. *Discount will be applied to the total value at the time of invoice and may only be used once per attendee per booking. Refer to the course outline for pre-requisites. 2018 was a satisfying year for Kilimanjaro. We cemented our position as MYOB’s number 1 partner in their Enterprise division, and MYOB verified their own position as the Number 1 player in the mid-market in Australia / New Zealand. We know that we still have a long way to go to achieve our own goals in terms of client satisfaction – the ultimate measure of our success. 2018 will forever be known as the Year of the Babies at Kilimanjaro. New little Sherpas kept popping up all over the place. Jaja and Ash started the trend, followed closely by Jason, John, Sean, and Kelly. We somehow survived without these key people, sometimes for months at a time. Still sleep deprived, they do wander into the office, and make it through the day thanks to the local café’s double-shot Espressos. For the first time in almost 2 years, I feel that we have achieved a balance between the resources we have in the team, and the amount of work flowing in. Building a team comes at a great cost to any business. We know that highly skilled people are our greatest asset. Recruiting good people and training them is starting to pay dividends in terms of service. We have added 5 new members to our Level 1 support team, and as their skills improve, our clients will feel the benefits. The Enprise / Kilimanjaro joint Venture is just over a year old. Next year should start seeing closer collaboration, and utilisation of the synergies identified between the two organisations. We have teams at various geographic locations (Perth, Melbourne, North Sydney, Parramatta, Central Coast Auckland, and even an upgrade team operating out of Barcelona ! ), giving us access to the best resources we can attract. I believe that 2019 will see these teams really delivering better service and value to our clients. The looming prospect of a Federal election, and a state election in NSW, always causes some angst amongst our clients. We would urge you to take a longer-term view when assessing your systems, and not be distracted by the political games. Entrepreneurs sense opportunities to grow, or to improve efficiencies, and investment in systems is a key to achieving that growth or improvement. To all our clients, we wish to thank you for your patience with us over the past year. We look forward to serving you in the years ahead. To those of you that celebrate Christmas, wishing you all a very happy Christmas. To everyone, wishing you a happy festive season and a great 2019. Earlier in the year our Management Team and representatives of Kilimanjaro attended the MYOB Enterprise Partner Conference in Byron Bay, Australia. The purpose of the conference was to review last year’s progress and discuss MYOB’s plans for the year to come. Most importantly, it is an event where partners are recognised for their hard work, and rewarded with a moment of glory. It was a great year for Kilimanjaro. We remain in the top spot on the leaderboards, winning Excellence in Business Development as well as being recognised as MYOB Partner of the Year 2018. This means we can honestly claim to be the “Number One Partner” of the “Number One ERP solution”. We were also thrilled to retain MYOB’s Diamond partner status, for the third year in a row. 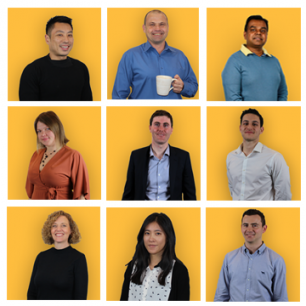 We believe that the story behind our success is a combination of the Kilimanjaro team of highly skilled Sherpas, our high-performing clients, and the software we specialise in. Coupled with our low-risk approach, we try to live up to our ideal of making every transaction a win-win. The tribal culture at Kilimanjaro is fundamental to our approach. While our goal is to improve efficiency in our clients’ businesses, winning awards like this certainly encourages us to continue to do better. This year, MYOB interviewed 276 businesses across Australia and New Zealand, to gauge the mood of the mid-market. The goal was to dive deeper into the business sector in order to better understand mid-size businesses current state and needs. The result was the MYOB “Transforming the mid-market” report. This gives insights into what mid-market businesses see as their greatest challenges. The report looks at future trends and provides a unique insight into how the mid-market operates. , Download the report here. Over the past decade, our clients’ businesses as well as our own, have changed somewhat in character. Fashion, style and image have changed too. This year, we decided our corporate image needed an update, to reflect the contemporary and cutting-edge nature of our services. The changes to our logo and brand, while quite subtle, were designed to reflect our position in the rapidly changing world of I.T. A new website is in the pipeline, and our offices will soon be adorned with updated value posters, methodologies and signage. We hope to attract more of our ideal type of clients and appeal to the larger, more complex businesses that we are so good at service. At Kilimanjaro, we believe that our people are our greatest asset. We take pride in our high standard of work, our collaborative approach, and our teamwork. Welcoming new members to the tribe is always exciting, knowing that our clients will ultimately benefit.. This year has seen enormous growth in team numbers. We would like to welcome our new team members who have joined us in 2018. They have all settled right in and taken strong and inspiring strides up the technology mountain! “As companies grow, they become more complex” – so says Ronnie Baskind – Kilimanjaro’s Managing Director. Kilimanjaro has been successful for more than a decade, providing first-class ERP software implementation and support services to Australian and New Zealand clients. We can proudly say we are Australia’s’ number one MYOB partner, and we implement Australia / New Zealand ’s number 1 choice in ERP software. The rapid and continuous uptake of the MYOB software solutions means that Kilimanjaro continues to invest in additional resources, not only in technology but also in talent. We surround ourselves with intelligent, competent people. With a growing tribe, it was necessary to also expand the management team that guides us. The Management team is now able to be more proactive We congratulate Kate Cramer, Steve Gillman and Stephen Friend on joining the management team and we are looking forward to improving our own efficiency through the clever use of innovative technology. Kilimanjaro’s number of clients, team members and offices across Australia continue to grow. We recognize our clients’ need for local support. That’s why this year has seen rapid growth in numbers in our Sydney, Parramatta, and Melbourne offices as well as Kilimanjaro establishing a stronger presence in Perth. We are proud to see this growth and know that our clients will benefit from our expanded level of services Australia wide. Read more about our Melbourne Team of experts here. All hellos bring goodbyes, and although we hate to farewell our valued tribe members, they know they are always a part of the greater Kilimanjaro family. We wish them all the best with their next endeavours! The core purpose of Kilimanjaro is to improve efficiency in businesses through the clever use of creative, innovative and proven technology. We try to deliver the best solutions for our clients. We establish long-term relationships with external software vendors to provide our customers with solutions we can trust. In July this year, we added a new solution to our connected services product portfolio. BI4 Cloud is a business intelligence solution affordable to all types of business. BI4Cloud understand how important data is, delivering real-time reporting that easily integrates with MYOB Exo. For more information about how BI4 cloud can improve the scalability and flexibility of your software, read more here. One of our greatest achievements of the year was the implementation of MYOB Advanced for Australia’s fastest-growing fresh food franchise, Soul Origin. The biggest challenge Soul Origin faced was rapid growth. The business needed access to their data 24/7 in order to make fast decisions. 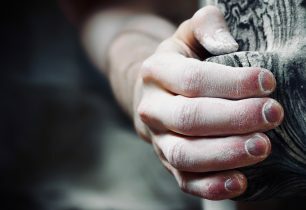 With MYOB Advanced, Soul Origin could access real-time information at any time, improving the process of identifying any issues and consistently working on improvement. Kilimanjaro believes that every implementation is unique. We have a structured, methodological approach in order to get the most out of a system. This works two ways: first, we must understand the unique business needs and secondly, the organisation must take ownership of their project and commit to change. This is why Soul Origin’s implementation was so successful. Listen to their story here. Ronald McDonald House Charities (RMHC) is recognised worldwide for the amazing work they do for by offering houses, family rooms, retreats and learning programs for families of seriously ill children who need hospital care away from their home. As you can imagine, this means a lot of fundraising, and although they are one institution, all houses run their fundraising support programs individually. We chose to support RMHC on more than just an ERP level. Not only did the MYOB Exo team implement the software across all their chapter houses to alleviate the frustration of outdated manual processes, but the tribe also got together to participate in one of their biggest initiatives, “Make a Meal” which encourages teamwork in the kitchen, cooking with love for the families in need. Knowing all the great things RMHC do for families, we felt inspired to make their work as simple and easy as possible. We are happy to say, RMHC is now able to keep track of financials on a national level. Kilimanjaro’s approach was to give the global charity the ability to work smarter due to better financial systems and reporting. MYOB Exo provides a central information system and technologically environment with individual databases for each of the 13-chapter houses. 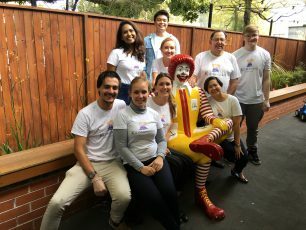 Read the full story about how MYOB Exo helped RMHC here. Over 200 individuals attended our 130+ courses, with many attending more than one course. Our Payroll Support Team and MYOB Advanced Implementation Team ran webinars on Single Touch Payroll and new features in MYOB Advanced v2018.01. Additionally, we have trialled a new way for clients to book and pay for our classroom courses via the Kilimanjaro Training Portal. This proved very successful and we will be rolling this out to all of our course in 2019, allowing our clients to bulk book and pay for our training courses! Our bi-annual MYOB Exo User Group Forums, hosted by Kilimanjaro and Enprise Solutions, is a chance for all MYOB Exo users to get together in an interactive format to discuss the Exo product and ways to improve their experience with it. The user groups provide good, solid business information, beyond the products, delivered by our insightful guest speakers. 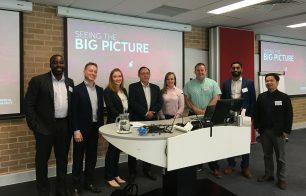 This year, we delved into ‘Business Transformations and Metrics that Matter’ in the first quarter of the year and finished off with ‘Transforming the mid-market’ inspired by an insightful Mid-market report provided by MYOB. In 2019, we will be focusing on improving the attendees’ experience by expanding on our popular focus groups and encouraging discussion amongst our users. We will still continue to share all the “need to know” information from the Kilimanjaro MYOB Exo experts. Don’t miss out on an opportunity to exchange ideas, learn and discuss with fellow MYOB Exo users. Keep your eye out for the save the date notification. The next user group is scheduled for the first half of 2019! Every year, the entire Tribe gathers to review our successes and challenges, celebrate our achievements, and make plans and commitments for the future. 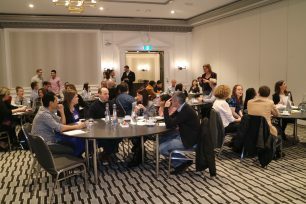 The Kilimanjaro’s 9th Annual Summit took place at the Intercontinental Hotel Double Bay, Sydney. The Summit gives every member of our team the opportunity to make input into how we can “sharpen the spear” and make improvements over the next year. Our special guest speaker this year was Andrew O’Keefe. Andrew is the author of Hardwired Humans and The Boss. He is an associate of three of Australia’s leading business schools. In 2011, as he did in 2008, Andrew joined with the chimpanzee expert Dr Jane Goodall when she was in Australia to speak to business audiences about the implications of our social instincts for the leadership of organisations. To read all about the day and our special guest speaker, visit our page here. Corporate Social Responsibility is important to Kilimanjaro as a company, and to the members of our Tribe, as we try to give back to the communities that contribute to our own success. On September 13th, the KC tribe got together for RU-OK Day (as we do every year). By simply asking our fellow Team Members how they are going today, Kilimanjaro strengthens our organisational culture and helps in a small way to remove the stigma around mental health. November was dedicated to spreading awareness and raising funds for men’s mental and physical health. 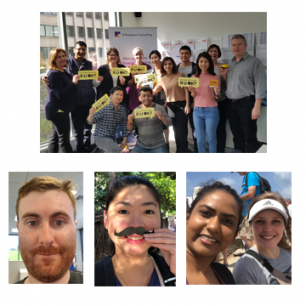 One inspiring member of our team managed to rally together 14 brave tribe members who all participated by either growing their facial hair or running 60km during the month. The “Movember” team, with the support of the entire tribe, did an amazing job and managed to break all 4 of our fundraising goals.! We look forward to being a part of this initiative again next year. To hear more about our CSR involvement, visit our page here. Over the past twelve months, our support teams have gone through process changes and improvements to cope with an ever-increasing volume of cases. The Exo Support Teams are now located in both Australia and New Zealand, allowing a greater timespan in which we can offer support, and more flexibility on public holiday coverage. The backlog of Exo support cases has been reduced from 703 this time last year, to 445 cases today. Our new recruits are rapidly getting up to speed with the products, and are providing better client experience every day. With a continued focus on lowering the number of outstanding cases, this will allow us to concentrate on increasing knowledge in the team, and consequently providing better customer service. We look forward to our Net Promoter Score being the highest in the channel. That is our goal. Single Touch Payroll was introduced this year, being mandatory from July 1, 2018, for companies employing 20 or more employees. This means that salaries, wages, PAYG and superannuation information now has to be reported to the Australian Tax Office directly from the payroll software. Kilimanjaro has helped many of our clients to make a smooth transition over to the new system. We encourage businesses with under 20 employees to be aware that STP will be mandatory for everyone come July 2019. Don’t panic. Kilimanjaro will keep you informed, and are always here to help! If you feel you need support with STP, don’t hesitate to contact our Payroll support team. Many of you may be aware that our long-time strategic partner, Picket Studio, is owned by Ronnie’s son, Dave. It may appear to be nepotism, but Picket has done an amazing job on our web strategy over the past 13 years. 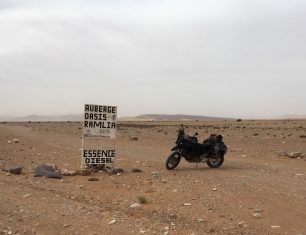 In September this year, just a few days after facilitating a session with Kilimanjaro to define the MYOB Advanced buyer’s profiles, Dave set off on a trip he has been planning for years: London to Cape Town on his KTM 900 motorcycle, including the notorious Paris to Dakar Rally route. The impact of the internet is amazing, as we have been able to stay in touch using WhatsApp. 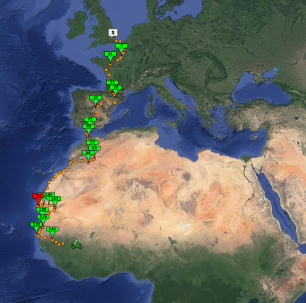 He also carries a satellite tracking device, which sends out a signal every hour while he is travelling, so we can see on a map, exactly where he is. Technology, being what it is, means that neither of these two systems is 100% reliable. Some countries have poor internet connectivity. Others are in the Satellite “black spot”. Something like our own NBN. During our last conversation (he is currently in Mali) Dave said one of the starkest differences between Western Culture and West African Culture, is that in Morocco/Mauritania/Senegal/Mali, tribe is everything. The societies are very multicultural, but Clan comes first and is more important than the individual. This resonated with me, as I would like to think of the Kilimanjaro tribe as adhering to this principle. 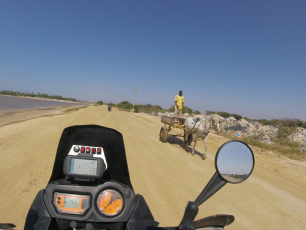 A more detailed account of Dave’s continuing journey can be found here. Mohammed took a real liking to me and was very interested in my trip. He likened it to his boyhood dream of getting his pilot’s license which he has now achieved and has over 500 hours of solo flight under his belt, and a Cessna. A flattering comparison but he is out of my league. That evening I stayed at Auberge Samira, a nice hostel and overlanding hot spot with friendly staff and hot showers! Met some nice people there in various states of travel including a couple, he Canadian and she Argentinian who had been travelling for near on a decade including a long stint in Aus. I also met a guy called Ibrahim, a local in his late twenties who spoke great English. Charming and likeable if a little too cool for school, I thought he worked there initially but seems he was just a friend of one of the reception staff. Things didn’t quite add up with Ibrahim but it didn’t really affect me so I brushed it off. He told me he was a policeman, but he didn’t really seem like one. I thought he was probably just bragging and liked to impress Westerners……. ….So we’re off at 6am before dawn with a stop to get me some petrol (rare here, 6 fuel stations with none before we find one) and to pick up another passenger…..
To find out what happened, follow this link. It’s not goodbye, just see you later! It’s 12 years since we began our journey as Kilimanjaro Consulting. For those who have been with us since the beginning, we thank you for your trust and commitment, it is all of our valued clients that have been fundamental to our success. The tribe at Kilimanjaro wish you all a Happy and Safe New Year. For all the necessary and exciting updates throughout the New Year and into 2019, follow us on our various social media channels to stay in the know or fill out the contact form if you would like to subscribe to our newsletters which include Peak Promotions, Events, Training and more. See you soon! MYOB Advanced users can access the software, anytime, anywhere. Mobility is one of the software’s biggest advantages. Being cloud-based, security and data privacy is a risk and mitigating this risk is MYOB’s number one priority., MYOB has taken security up a notch in MYOB Advanced by introducing Two Factor Authentication (2FA). What is 2FA in MYOB Advanced? Most accounts rely solely on passwords. In today’s world, we know that passwords have the risk of being stolen. Accounts can be hacked, meaning bank account details or customer details could be at risk. 2FA means that logging in to the software will require two things: something you know and something you have. For example, your usual password and a code supplied to your phone. Upon sign in to MYOB Advanced using your password, you will then be prompted for a unique verification code. An app on your phone generates a code, providing the second level of verification prior to allowing users access to the system. When working from a trusted device, you can choose to trust the device for either 12 hours or 30 days. During that time, you will only be asked for your username and password. This will still provide a secure environment as any attempts to sign in from another device or browser will activate 2FA and trigger a verification code confirmation. How do I activate 2FA in MYOB Advanced? By December 31st, 2018, 2FA will be mandatory for every site. All users will need to go through a simple and guided registration process to activate 2FA and choose the preferred method for second level authentication, either using mobile App or email. To begin using 2FA, visit MYOB’s step-by-step guide by clicking here. Alternatively, contact our MYOB Advanced support team by calling 1300 857 464 for assistance. What is ERP in the Cloud? Cloud-based system solutions, also known as Software as a Service (SaaS) are becoming more and more common and preferable to Australian businesses. This innovative technology provides the same functionality as an on-premise ERP system, but also provides the added benefit of real-time data accessible from any device, 24/7. As with any ERP software, Cloud-based ERP comes with benefits and challenges which you should be aware of prior to making your choice. Take a moment to read about some advantages and disadvantages. The most apparent benefit of cloud-based computing is the flexibility to access your information anywhere, anytime. If your employees are working remotely or on the road this feature will be for you. Employees are able to access data while off-site, thereby improving efficiency. Real-time information makes for better decisions and provides updates for your managers. In order to stay on top in a competitive market, you need to satisfy customers unique needs. Making important decisions in a company sometimes needs to be done in seconds. For those working in a manufacturing business, you will understand these pressures well. Having access to real-time data will help optimize processes, manage your resources and ultimately, will enable you to make more informed decisions. For businesses that are going through a period of growth, you need a system that is able to scale. The subscription model of Cloud ERP makes payment flexible and scalable, as you are only charged for what you use. That means you have the power to decide whether you need to increase or decrease licences, depending on current employment status. As your company grows, ERP Cloud software will adapt to your needs. Additionally, in a cloud-based system, the software host will look after any upgrades or patches, meaning you don’t have to worry about this and have more time to focus on your business. Cloud-based service pricing is based on storage capacity and/or a per-user basis. This means you only pay for the resources you use.. Generally, SaaS is designed as “easy in – Easy out” so you can adjust licence numbers up or down at short notice, after an initial lock-in period. A critical factor of business continuity is protecting your data, and having it stored in a cloud system will ensure you have backups which are protected in a secure and safe location. Losing your data can happen following a computer crash, a power failure or any other technological crisis. With the right cloud-based system you can rest easy that your data will always be backed up and safe. Using the resources that are provided by Saas, you are able to reduce your operational costs such as IT management and system maintenance. Cloud-based solutions have fewer time delays, consume less energy and costly system upgrades and new hardware is usually already included in the contract. Lastly, having a system that is able to deal with IT maintenance issues means lowering operational costs that would previously be incurred with in-house systems. With any cloud-based system, there are challenges that come with the above benefits. Challenges are best avoided by being aware and being prepared. Working in the cloud is relatively new for businesses, so when you consider moving to a cloud-based ERP, it is important to understand the risks involved. The most prominent factor that people worry about with the cloud is privacy. You do need to be aware of what is happening with the storage, movement, and visibility of your data. In order to safeguard your business against these risks, ensure you are aware of the service provider’s responsibility as well as your own. Any new technology comes with its challenges, and the most important challenge is a lack of expertise. Ensure that you are working with a trustworthy provider and implementation partner who can take you through the process of implementing a cloud-based solution from beginning to end. If you are not sure what to consider when choosing the right partner, read our article on “What to expect from you Enterprise partner”. As mentioned in the benefits, cloud-based solutions allow businesses to ‘pay as you go’ which can cut costs down considerably as you can shuffle around with the numbers of licenses to meet your requirements at the time. However, the scalable nature makes it difficult to project prices and plan a strict budget accordingly. From an accounting perspective, the costs shift from Capital Expenditure to Operational Expenditure (from the Balance Sheet to the P&L). This may not suit all businesses. When it comes to the cloud, businesses become dependent on their service providers, and especially the internet service provider. If and when your internet connection is down, or even slow, there is an immediate impact on business continuity. It is essential to have a fail-over internet connection, ideally with a different provider, as a backup. Ensure that your SaaS provider has real-time monitoring policies in place. As well as the ability to restore your data from their backups in the case of a disaster. Is working in the Cloud for you? In the end, you should always consider your own specific business needs first. The software must meet these needs. The method of deployment ( SaaS, Hosted or on-premise) is secondary. Cloud-based systems are revolutionising the IT industry. For businesses growing at a rapid pace, and increasingly complex requirements, a system such as MYOB Advanced can meet the demands that come with growth. It is a fully integrated and customisable business management solution. MYOB has partnered with Amazon’s data centres in Australia to offer you the most secure best-in-class, high availability experience. Data is stored locally and protected using the latest technology, including Two-factor Authentication of users. MYOB ERP Software is the number one choice for Australian Business according to iStart 2017 Buyers Guide, which confirms the trust Australian Business puts into the MYOB product family. When choosing your ERP, there are important business decisions to make. It is with the right implementing partner, providing a low-risk implementation methodology that you can ensure you will reap all the benefits from your ERP software. Talk to Kilimanjaro today about which service fits your business needs best, and whether a cloud solution is right for you. Are you a current user of MYOB AccountRight? This article is for you. If you are a current user of MYOB AccountRight, you will know that this software is being phased out, and users are being encouraged to migrate to newer versions. Transitioning to a new software means you need to be prepared and have a plan in order to avoid any potential loss of essential functionality. Whether you are required to make this change or are simply a business that has outgrown your current solution, keep reading about how technology will support your business efficiency! Today, the business world operates at breakneck speed. Businesses have endless opportunities to grow, evolve, and achieve their potential. Modern technology allows businesses to work with other each other. Despite their location, you can have multiple overseas branches functioning all under one consolidated company view. If you are dealing with multi-currency, whether you are importing or exporting, make sure you have a system in place that will make it easier to deal with this complex business challenge. Is multi-currency a functionality you require in your business? Consider a solution that will capture and take into account all costs including realized and unrealized gains and losses. MYOB Exo Finance gives you complete visibility of all foreign transactions, across your entire organisation, MYOB Exo Finance covers debtors, creditors, stock and General Ledger. When dealing with multi-currency, Exo Finance helps you estimate the landed costs of your products by calculating the often-hidden on-costs such as freight, duty and taxes that need to be paid before the goods can be delivered to you. Whether it is, shipping, handling, import fees, duty, local and domestic freight or customs inspections. These are spread over the shipment, calculated on value, volume, weight, or quantity. This means that at the touch of a button you will know the true landed cost of an item, as well as the true profitability when you come to sell it. Essentially, no hidden or missed costs. MYOB Exo Finance converts and records landed costs incurred from international suppliers in any currency with automatic conversion to your base currency. The multi-currency function of MYOB Exo allows users to manage debtors, creditors and balance sheet accounts in any currency, including the default currency. MYOB Exo has a utility to convert these transactions into the default currency for use in the General Ledger. Variances in exchange rates accommodate within the General Ledger to balance the changes in the debtor and creditor control accounts. This is through the use of a Forex gain/loss account in the profit and loss section of the General Ledger. When using the integrated cash book, realised gains or losses will only be posted to the General Ledger after the invoices and corresponding payments have been allocated. Customers and suppliers can be set up in any currency and any transaction that takes place is recorded in the customer or suppliers’ currency. Sales reports and all stock movements convert to local currency at the rate that applied to that transaction. If your company is dealing with multi-currency, you may also have multiple stock locations. It is crucial to have a system in place that can handle these locations for you. This way, you have a single view of your inventory across the business. This will help manage to reduce manual processes and guarantee customer satisfaction. Read more here about how MYOB Exo can help manage your stock, per location, per status, and more. How do I get MYOB Exo up and running? 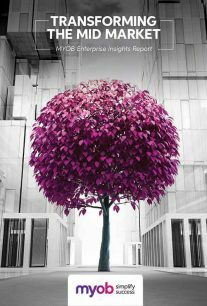 Have you outgrown your simple off-the-shelf accounting software such as MYOB AccountRight? It is time to upgrade to software such as MYOB Exo, that can handle your unique business complexities. MYOB Exo differs from MYOB AccountRight on many levels. MYOB Exo provides flexibility and is configurable to your unique business requirements. It has the widest range of modules of any system available on the Australian and New Zealand market. It is Australia and New Zealand’s most popular software for medium-sized businesses. For a more complex system such as MYOB Exo, you will need to find the right implementation partner to implement this system for you. Consider working with MYOB’s number one partner. Here at Kilimanjaro, we have developed a unique implementation methodology that ensures low risk. We will not go live until the system designed meets your standards. The process begins with us developing an understanding of exactly how you are currently running your business. Then, we work with you to explore what can be done differently in the future for a more efficient business. The pace of the implementation is entirely in your hands. MYOB Exo is a complete, fully integrated financial and business management system. It is highly configurable to meet your business’ needs today and in the future. Contact us today for a no-obligation consultation to discuss your current requirements and how MYOB Exo can improve efficiency in your business. For more information about MYOB AccountRight changes, visit MYOB’s page here. MYOB Exo Employer Services Security Release 2018.03 is here! Find out about the new release, what you need to do, why it is important and how we can help you. Many online services that send data over the Internet, use an encryption protocol called TLS (Transport Layer Security). From October 30 2018, many businesses worldwide, specifically software and telecommunication providers, will start decommissioning the use of older TLS versions (1.0) to safeguard data within the latest standards. This security release will adopt a stronger security protocol to ensure data communication is completed through the latest and most secure methods possible. MYOB Exo Employer Services will cater to this change which means you will need to upgrade to Security Release 2018.03 now. If you are still using Windows XP, Windows Vista or Windows Server 2008, we recommend you upgrade to Windows 7 or above to ensure TLS v1.2 capability. Alternatively, you can reach out to Microsoft to verify if your current operating system can enable TLS v1.2. Your Annual License Fees (ALF) entitles you to the latest version of the software. 2. The latest version of MYOB Exo will always give you new functionality and fixes problems in previous versions. 3. Regular upgrades will mean less complex and therefore lower cost upgrades in the long run. 4. It is far easier for users to learn incrementally than learning an entirely new interface because they are (for example) 5 versions behind. How can we support you with your MYOB Exo upgrades? At Kilimanjaro, we will always provide our clients with the latest “need to know” information. For any queries you may have, our support team is available and will always try to find the best solution for each unique problem. For more information on our collaborative approach and what we offer for our clients, visit our support services page. At Kilimanjaro Consulting, it is important that clients feel they are in safe, trusted hands as we help them achieve productivity and growth. Our mission is to improve efficiency in businesses through the clever use of creative, innovative and proven technology. 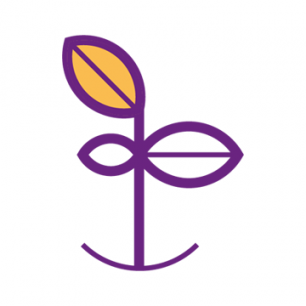 Recently, we implemented MYOB Advanced for Soul Origin, who are going through fast-paced growth that became impossible to manage with their existing accounting software. Soul Origin is Australia’s fastest-growing fresh food franchise. Offering healthy fast food options for all Australians, with salads and sandwiches being made fresh, daily. They bring high-quality meals with a trendy café vibe to shopping centres across Australia. With a “made today sold today” motto, Soul Origin has to manage a very quick turn over from the kitchen to distributors nationwide. In just 5 years Soul Origin has expanded from 3 to 70 stores. A franchise like this, growing at such a rapid rate meant there needed to be changed in how they were managing their business operations. Soul Origin already has a significant number of franchisees with plans to continue expanding. They needed software that was going to give them access to accounting and payroll data and simplify their financials. This is where MYOB AccountRight could help. It was able to meet the reporting and payroll requirements of the franchisees without any limiting features. Then, by bringing MYOB Advanced in, they were gain the advantages of working with nationwide visibility across the franchise operations. Now Soul Origin has the best of both worlds, with the ease of accounting and access 24/7, this allows them to make decisions as fast as humanly possible. CEO Chris Mavris is proud that his franchisees are like family. This is why it is important that there is a reliable system in place to promote efficiency by reducing unnecessary manual work. At the same time, the new systems allow the workers to concentrate on what matters in the business: growth. MYOB Advanced is an easy to use, web-based product, making it accessible to users anywhere and anytime. It is the perfect software for businesses wanting the benefits of working in the cloud. Being a franchise operation, it is important that everyone has the same view of the business across the country, instantaneously. This is why MYOB Advanced was the perfect fit for Soul Origin. A cloud-based solution was able to give franchisees the ability to make quick decisions and allow business growth while simultaneously allowing them to identify any issues thanks to real-time information. In essence, MYOB Advanced has given Soul Origin real-time visibility of performance, superior analytics and the time they needed to focus on their customers. Every ERP implementation must have a structured, methodological approach in order to get the most out of the system. However, there are two crucial factors that will affect a successful implementation. Firstly, the implementation team must understand the unique business needs and second, the organisation must commit to change. This is why the implementation at Soul Origin was so successful. The transformation from using basic accounting software to having an integrated ERP solution helped Soul Origin advance to the next level. Every franchise is now being assisted equally and management has a single view over the entire company, allowing them to make smarter and faster decisions. At Kilimanjaro, we understand all business are unique and need different approaches when implementing ERP software. Our structured methodology combined with skills in accounting, strategic planning and business help us to understand your business first. Our record of successful implementations shows that we are well equipped to replicate this process in any business. We are proud to be MYOB’s Number One Partner and are here to help you maximise your business potential. Remember that when choosing your software, you do have a choice of implementers and it is best to consider all factors before making your decision. To read the whole case study of Soul Origin, please visit our page here or download the PDF below. 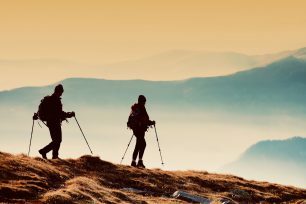 Each year Kilimanjaro, together with Enprise Solutions, run two MYOB Exo User Group Forums at 5 different venues. The User Group Forums are a chance for us to invite all MYOB Exo users to join us for a half-day seminar and discuss the most relevant and current business matters. Our goal is not only to share with the audience our extensive knowledge around MYOB Exo, but this round we aimed at giving the Exo users a chance to engage with one another and share their experiences in order to learn and gain more from their system. October marks the end of our User Group Forums for 2018 following our visits to locations in Perth, Melbourne, Auckland, Canberra and Sydney. This round of MYOB Exo User Group Forums, the theme was around Transforming the mid-market. The theme was inspired by MYOB’s 2018 Transforming the mid-market report which included interviews with 276 bigger businesses in Australia and highlighted their surprisingly significant impact on the economy. The User Group Forum also featured a special guest from MYOB who shared insightful information about MYOB’s employee engagement process. You can access the mid-market report here. While the user groups are aimed at MYOB Exo users, the content is designed to provide relevant business management information across a range of topics. Our guest speakers are selected to benefit your business. For our September – October sessions this year, we were honoured to hear from Chief Employee Experience Officer at MYOB, Helen Lea. Helen’s career spans a variety of organisations from banking to consumer goods. She has a master’s degree in Organisational Psychology and is a registered Organisational Psychologist and a Fellow of the Australian Human Resources Institute. Helen shared a thoughtful and perceptive presentation about one of the biggest challenges of businesses today, finding the right talent for your business, and retaining that talent. Helen delved into employee experience and how you can achieve success through critical factors including talent acquisition, early experience and building capacity when employing staff and building a team. We understand the importance of challenges of the recruitment and therefore we also recommend reading the series of articles which include many useful tips for your business. If you have attended any of our forums, you may have heard that we recommend that our MYOB Exo users should update their software every 12 to 18 months. Every new release brings new functionality which we talk about during these sessions, but that is not all. MYOB Exo users can also extend the functionality by bringing onboard third-party products to cover specific business areas which need improvement. Here at Kilimanjaro, we test and make sure the products we recommend are clever, innovative and proven. If you have missed our forum this time, you can simply reach out for more information on our website or talk to our Strategic Account Management and Connected Services Team. See you all in early 2019! We want to thank all the MYOB Exo users who came along to our seminars in any of the five locations. We are glad to have introduced a new and exciting format that encouraged the audience to engage with one another and discuss personal Exo experiences and feedback. We couldn’t do it without all of your contributions. 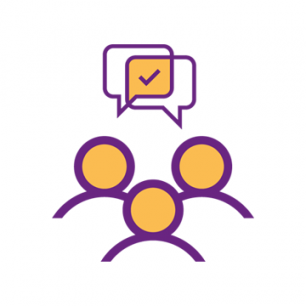 The next MYOB Exo User Group Forums are scheduled for February – March 2019. Keep an eye out for our newsletters which will have all the details around the theme, registration details and dates. This is an opportunity open to any MYOB Exo user who wants to learn, engage, grow, and succeed. For organisations such as unions, sports clubs or affiliations, revenues will accrue on a membership base paying regular subscriptions for products and services in order to provide a predictable income stream. However, this income can be controlled by a fixed element, such as max capacity at a gym or stadium for example. This can put a halt on growth. So, what can you do to ensure your business is still maximising growth potential? Most membership-based organisations feel they must break the cycle of being dependant on membership renewals. This is where they lose sight of the importance of maximising that primary revenue source. To do this, an organisation should be using one system to track memberships and to manage finance and accounting. When you are using separate systems to manage the two, you begin harbouring inefficiencies and losing profit. Many organisations are heavily dependent on standalone systems that require a great deal of manual labour. Programs such as Microsoft Excel are used to keep track of membership data which obstructs efficiency and comes with many other issues that all result in a poor data flow, resulting in obscured visibility for management. Data breach legislation is now a major cause for concern with these types of records. Problems consist of unavoidable inaccuracy due to relying on manual data entry. Because of this, labour can include not only manual entry but additional proofreading which ends up taking up valuable resources as employees are spending longer than necessary for additional tasks. Following the issue of manual data entry, you are not able to have real-time visibility. You also do not have a reliable audit trail. Finally, data may not be secure when you are working with an open database connection. These issues usually accumulate and result in a negative impact on membership-based organisations including increased expenses and missed renewals. To find out more about how you can simplify data, read our article on harmonizing data. How do the above issues impact my membership-based organisation? When an organisation is growing and continues to use standalone systems such as MS Excel, important information can go unnoticed. Simply, if staff are consumed by entering data manually, they are not able to see data in real-time and it is not accessible across all platforms. This means that although you may be able to see who a member is currently, you may not be able to tell who has missed a payment or which subscriptions have been renewed or not. Without this information, an organisation can’t focus on building the brand and encouraging renewals – their main source of profit. To avoid the above issues and continue to build growth in membership services, is it key that a manager has an overall view of the health of the organisation. If staff are entering data manually, data could be days old, meaning managers could be making business-critical decisions based on out-of-date information. With restricted visibility and, in many cases, duplication of data entry, organisations are lowering the organisation’s profits by increasing the cost of membership administration. These costs are primarily from increased staff hours, due to cross-checking between systems. Remember, as your organisation grows, so does the burden of your data. Improving the flow of your data is the best way to maximise revenue from subscriptions for membership-based organisations. This can be done by improving your existing systems or replacing them all together. Staying with an existing system has numerous advantages, such as avoiding disruption to business-as-usual, and allowing staff to work with an interface they’re familiar with. However, if the existing system is not able to accommodate growth, starting again becomes a better value option. A system that can manage every one of your business functions (accounting, finance, the point of sale, subscriptions and employee services) is the key to improving efficiencies. The benefits of using a single interface within an organisation mean that over time, each staff member can access information in the same place and a clear history of membership can be built. This not only saves a huge amount of time in manual labour and therefore cutting costs on staff working hours but creates much more accurate data. Not only is an integrated software system a great saving of time and money for the organisation, it is an appealing self-service function for the members. By allowing members to enter and amend their details online through a secure login and even renew their membership encourages goodwill and reduces a tremendous amount of labour that is associated with maintaining active memberships. All in all, a system that can manage an entire organisation lowers staff costs and allows focus on more critical aspects of the business with the relief of having a complete overview of the organisation, in one space. Replacing any system with an integrated one can take months to be set up to your specific requirements. This is why a flexible, customisable database should be in place from the start. That way the rest will follow quite smoothly. For example, the platform should allow organisations to integrate with third-party systems or add-on modules like CRM tools which provide a wider view of all operations. It is important to ask yourself a few questions to ensure you are making the right decision when it comes to a membership-based organisation. Is the ERP system going to last you long-term through growth over the next five or ten years? Hosted, SaaS or on-premise. Consider your requirement and compare the benefits and weaknesses. Check out an article here on how to make the best choice for your business. Will you have support? Adjustments, reports and customisations will continue even after the installation. Having local support will ensure your organisation can make the most out of the new system. Training Availability? To maximise the benefits of the system to your organisation, staff should know how to use the system. Having access to training opportunities can make all the difference to understand your system. Choosing the right ERP system is not an easy task. Advice from a trusted source is integral to making sure you make an informed decision. To find out more about making your way through the ERP selection process, visit our page here. Implementing a new system is an entire process. You must consider numerous parts along this journey. Starting with the resources you have available, organisation requirements and how you plan on encouraging growth. All the way through to a trusted and supportive company that implements it and of course teaching it to the staff who will be using it. Once you have completed the process, you will begin to see the benefits of an integrated ERP system. Whether this is the convenience of accessing your data anywhere, anytime or enjoying the flexibility that an ERP system such as MYOB Advanced can provide. Designed to meet current business requirements, it is scalable to meet future demands. In the long term, a membership-based organisation will notice a tidy administration. This is through reduced costs and savings in time expended on unnecessary manual labour. Ultimately, an organisation can gain enough clarity to begin focusing on alternative revenue sources with a system like MYOB Advanced that grows with you. If you would like to know more about how MYOB Advanced can transform your business, please contact us on 1300 857 464 or email our specialists on [email protected] to organise a free consultation today. Find out how working with MYOB’s Number One partner will benefit your business.